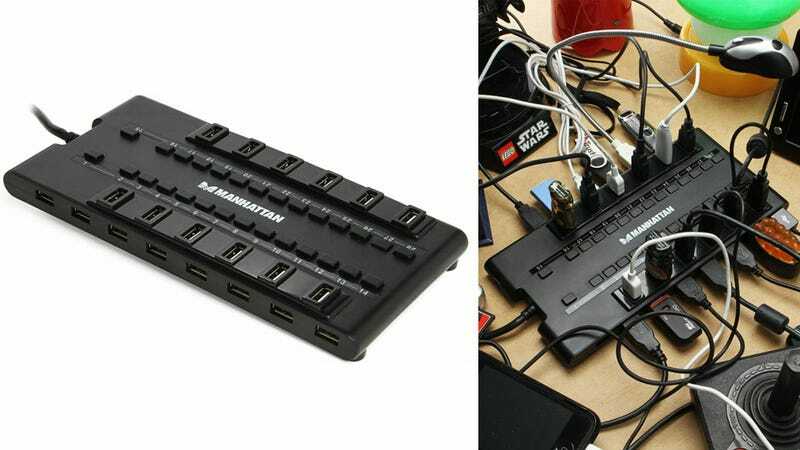 If you look across your desk at the pile of charging cables, docks, flash drives, and other USB-powered accessories, you'll quickly come to the conclusion that you can never have too many USB ports. Even the MondoHub's impressive array of 28 ports will slowly, but surely, all get filled. It's certainly a step-up from the previous multi-port champ, which packed 16 USB connections. Particularly when you realize that four of its ports are high-speed, perfect for those USB 3.0 devices that no one really has yet. And so that using the $90 MondoHub doesn't result in a nasty surprise on your power bill, every single USB port has its own on/off button so they can be individually activated as needed.